These wooden potato mashers and porridge spurtles were commissioned by an elderly Scottish chap looking to give presents to his family. I made 7 of each as requested. The design of the potato masher was described to me, and luckily I managed to see a nice example (no touching allowed mind you), in the Welsh Museum of Rural Life just before I started to make them. The green wood I used was fresh maple, some lovely green tinged cherry, and a whiter cherry. 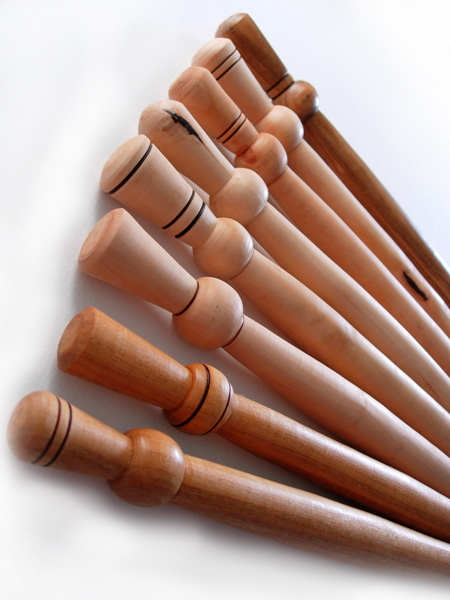 I turned a variety of handle shapes and mashing ends as the wood allowed on the pole lathe. All are approximately 18" tall. The mashing ends are about 3" diameter. 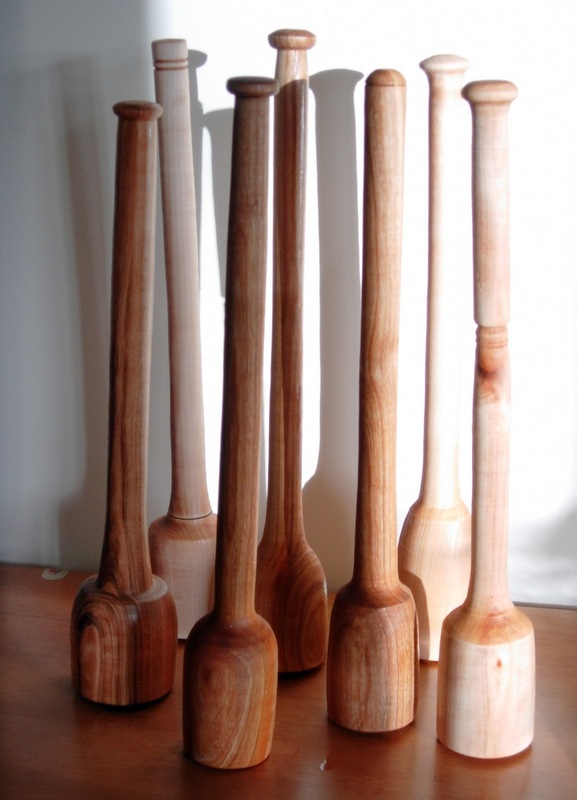 The design of the porridge spurtle was a copy of his own that he'd used for the last 40 years. He made porridge every day, or every other day, letting it rest - I can't remember which. His own spurtle had worn down 1" shorter than it should have been, and so his hand was getting too close to the cooking pot. The practical feature of this design is that the ball rests comfortably above your hand, as if holding a pen. He also insisted that the ends should taper. I made a variety of designs as the wood dictated. 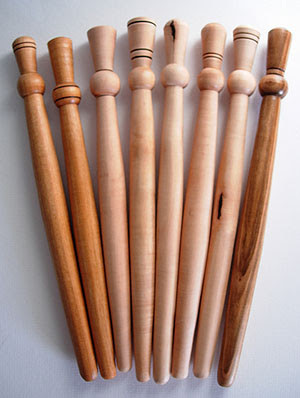 Five were turned from pear wood and another three from cherry. One of the pear spurtles had a peculiar kink at the top when it dried out, since the thin point above the ball sat on a knot. I had meant to keep this one for myself but somehow he ended up getting a bonus spurtle. Lucky old him! 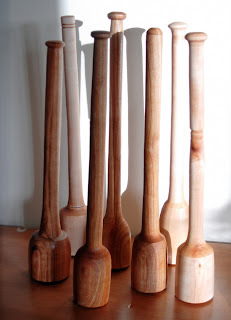 Everything was burnished with greenwood shavings from the lathe and oiled with culinary linseed oil a few times. I was very pleased with the finished work.